We live in a nation that once boasted of its Judeo-Christian ethic and history. Those days are gone. We now find ourselves living in a land that is hostile toward anything “Christian” or “biblical,” where people prefer a secularized society free from the influences of God and religion. It is, in essence, a virtual Babylon, far from the ideal that God intended and given over to sinful excesses and human pride. How can a Christian thrive in such a hostile environment? What hope does a believer have in the face of abject opposition to a God-centred way of living? How do we navigate the countless moral choices before us and remain faithful to our God? The Book of Daniel is the account of a believer who faced the very same situation and yet lived in such a way as to maintain his integrity. 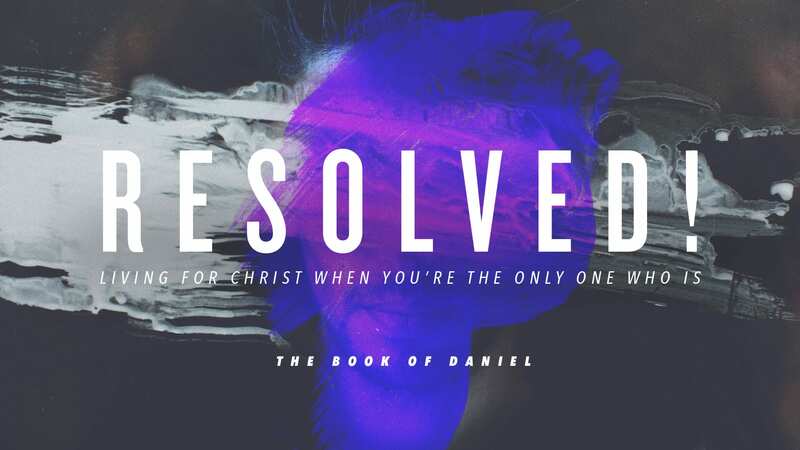 While dwelling in the ancient empires of Babylon and Persia, Daniel was resolved to please God no matter the consequences. Through a combination of historical narratives about Daniel and his friends, as well as some spectacular apocalyptic visions of the future given to him by God, the book compels today’s readers to be just as resolved in their own walk with Christ, knowing as Daniel did that God is firmly in control of all things. Our study in this high-impact book will follow a chronological approach, with the apocalyptic visions of chapters 7-12 inserted into the narrative section of chapters 1-6 according to when they were given to Daniel.